Today I found out that the paperclip was used as a symbol of resistance during World War II. In April of 1940, just a few months into World War II, Adolf Hitler knew that he needed a way to break past the Allied blockade of Germany if he had a hope of winning the war. He set his sights on Norway—a risky endeavour, but control of Norwegian waters would make transporting goods into Germany a little bit easier. Norway had declared itself neutral in the conflict, but Hitler wasn’t about to let a little thing like neutrality stop him from getting what he wanted. After a few months of struggle, the Germans successfully began their occupation of Norway, driving Allied troops out. The Norwegian royal family and government were also driven away, forced to conduct business from exile in England. Meanwhile, the people of Norway lived under German rule. Anti-Jewish legislation was passed, culminating in the deportment of 700 Norwegian Jews to Auschwitz. Mass executions were not unheard of, though most were done on a smaller scale in comparison to the horrific events taking place in certain other areas of Europe. The people of Norway also had to deal with German soldiers day in and day out for five years. By 1945, some 400,000 German troops were operating in Norway, controlling the population of about 4 million people. Why the paperclip? 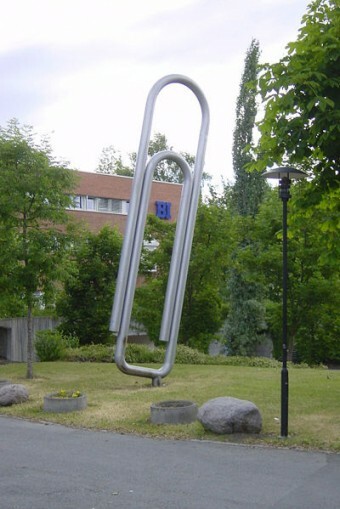 Besides the idea of binding things together, it’s thought the paperclip was chosen as a symbol of resistance in part because many people incorrectly believed that the inventor of the paperclip was Johan Vaaler, a Norwegian man. Vaaler was granted a patent for his paperclip in Germany as well as the United States in 1901, though didn’t apply for a patent in his native Norway. The problem was, he didn’t really invent the thing we call a paperclip, and that paperclip (the Gem paperclip) was around and very popular throughout Europe before Vaaler came up with his design. Vaaler’s paperclip had the papers inserted by lifting the outer wire slightly and pushing the papers into the clip such that the rest of the clip stood out from the paper at around a 90 degree angle, which was necessary because of the lack of the critical second loop to allow the papers to be more or less embedded in the clip flatly. Vaaler’s design also made it so the papers wouldn’t be held together very well as they relied only on how bendable the wire used was to hold the papers. The double looped Gem style paperclip, on the other hand, exploits the torsion principle to help bind papers together. Vaaler’s design was never manufactured nor sold and his patents eventually expired. Nevertheless, many an encyclopedia falsely credits him as the inventor of the paperclip and the 23 foot tall statue (pictured above) was made in his honor in 1989, even though it shows the Gem paperclip, instead of the one Vaaler came up with. Further, a commemorative stamp was created honoring Vaaler that also depicted the Gem style paperclip, not Vaaler’s design. Nevertheless, the idea that the paperclip was invented by a Norwegian man was prevalent and the fact that paperclips bound things together and were cheap, readily available, and not out of place made it seemingly the perfect symbol for non-violent, subtle resistance in Norway. In time, the Germans caught on to the fact that the paperclip was being used as a symbol of resistance and wearing a paperclip promptly became a criminal offense. So who actually invented the paperclip? Nobody knows for sure, not even for the Gem paperclip. The Gem paperclip was never patented, though is thought to have first been manufactured by the Gem Manufacturing Company in Britain around the 1870s and later introduced to the United States around the 1890s. This is also why the Swedish word for paperclip is “gem”. The Norwegians found other ways to resist the Nazis, too. 12,000 of the teachers who were told to teach Nazism went on strike. 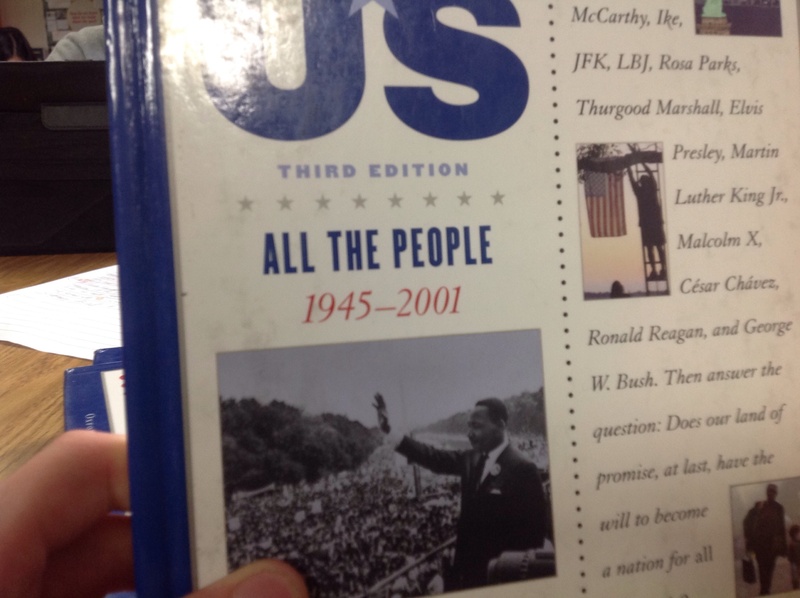 1000 of them were deported and sent to prison camps immediately, but after six months the remaining educators hadn’t relented, and the Nazis gave it up as a lost cause—having teachers out of the classroom was more detrimental to the war effort than having them in classrooms, but not teaching Nazi party ideals. Similarly, the churches that were told to teach “obedience to the leader and the state” found themselves in desperate need of people to lead church services. Every bishop in Norway resigned, along with 90% of the clergy. The humiliated German soldiers were forced to rescind the doctrine—another win for Norway. Meanwhile, the general public of Norway were waging a silent war of their own. In addition to donning paperclips, they made life difficult for the German soldiers in various subtle ways. Many of them refused to speak German, even though it was a widely known language at the time, and would point the soldiers in the wrong direction when telling them how to get from point A to point B. They refused to sit beside German soldiers when they rode on public transportation—an act of defiance that enraged the Germans so much that they made it illegal to stand on the bus if there were seats open. An illegal press was established in order to keep everyone informed after the Nazis attempted to cut Norway off from the BBC. When the German military began to conscript young men into the army, thousands fled to neighbouring Sweden to escape service. The Germans promptly withheld ration cards from those who didn’t sign up—at which point the resistance stole some 150,000 ration cards, and the military was forced to stop their efforts on that front. As for the Norwegian Jews, although 700 were shipped to Auschwitz, the remainder—1000 or more—were smuggled into Sweden by the resistance, which was no small accomplishment. Germany occupied Norway until the end of the war. Around 40,000 Norwegians were imprisoned during the interim, and over 10,000 lost their lives. Another 40,000 or so had escaped to Sweden and slowly began returning home when the Germans began to leave. Redirected here in the wake of recent events. More movies about these astounding facts please! Well, if it’s free to subscribe, why not? Knowledge is power…Thank you. Interesting article. Thanks. I did get a giggle when I read it was proofread by Grammarly. There is a world of difference between the ‘deportment of Jews’ and the ‘deportation of Jews’.